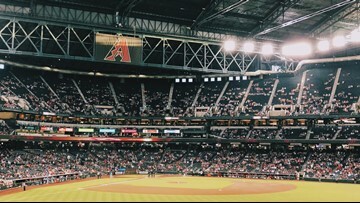 Los Arizona Diamondbacks ofrecen boletos a $12 días selectos. 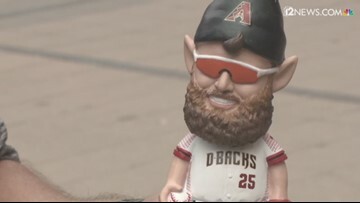 El sábado 13 de abril, los D-backs regalarán el primer artículo de la temporada y es una estatuilla de Archie Bradley. 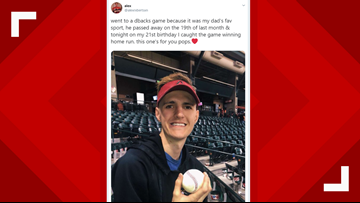 Alex Robertson caught Jarrod Dyson's home run ball Tuesday. But after his father's passing, the memento is so much more. 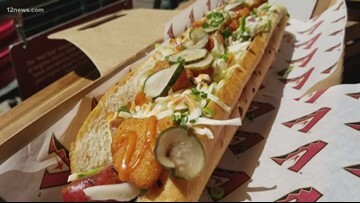 The Arizona Diamondbacks' 2019 home games will give fans a chance to taste new food items and experience new elements at Chase Field. 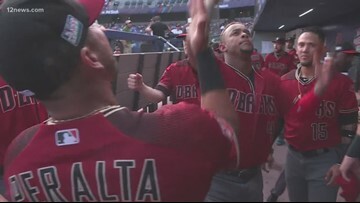 Con una fiesta en las afueras del Chase Field, los D-backs inauguran la temporada de béisbol con el primer juego en casa el viernes 5 de abril. 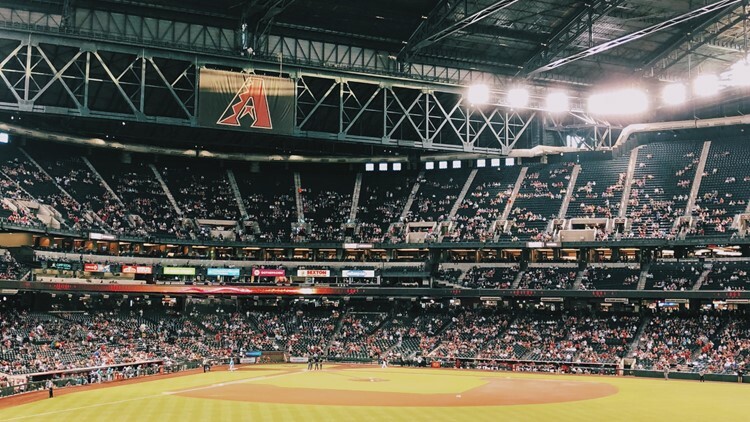 From new tasty treats to new, organic astroturf, the Diamondbacks are rolling out a host of new features to make your game day experience that much more enjoyable. We got a sneak peak at and so can you! 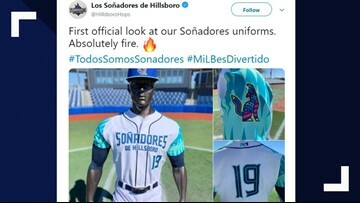 La meta de esta promoción es honrar las comunidades con raíces hispanas y Latinx dentro del béisbol. The goal of the promotion is to embrace and honor Hispanic and Latinx communities across baseball. 25-year-old Taylor Clarke is hoping for a spot on the Dbacks roster, and there is a good chance it could happen. It would make him so happy, but he may not be able to crack a smile if it does happen and there's a good reason why. 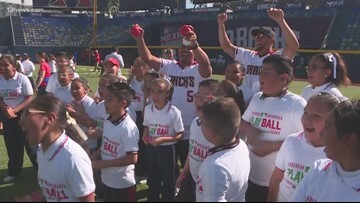 Diamondbacks CEO Derrick Hall says he hopes the team can play regular season games in Mexico next year. 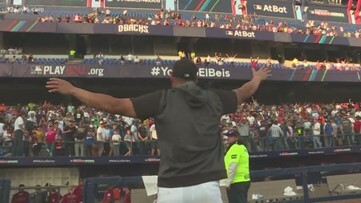 In Mexico, everybody speaks baseball...and the Freight Train. 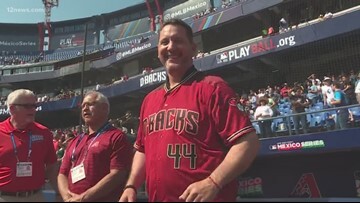 Durazo was discovered by the Diamondbacks years ago at Monterrey Stadium before they signed him in 1999. 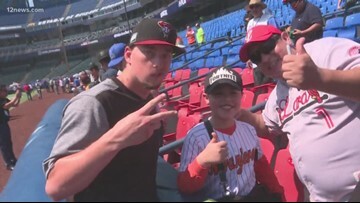 12 Sports' Cameron Cox is following the Diamondbacks in Monterrey, Mexico and gets a look at how the team is getting to know the community.